The idea came to our founder, Bill Lemke while working at the San Francisco Food Bank in 2005 with a youth group from Harbor Covenant Church. The food bank brought in food from retailers, manufacturers and the public and gave it to agencies in the Bay area. That is when the idea hit; what they do with food could be, and should be done with furniture. Being in the furniture business for 30 years he saw it as win win business model for the public and furniture stores and manufacturers. Damaged, and out of style furniture tying up valuable inventory dollars and or floor space could be donated; the dealer could take the tax deduction and get furniture that retails. Bill had every intention of leaving the idea in San Francisco and continue to build his manufactures rep business in the Northwest. He had two problems however, one was the fact that the idea would never leave him and the second was his son who would never let him forget it. The furniture bank was one of those 3 in the morning ideas that keeps you awake but Bill kept trying to ignore it. Tragically in November of 2005 Bill's son who inspired him to do "something of significance" passed away from Lymphoma on Thanksgiving day. Bill and Joelene were faced with "what now!" In a instant lifes passions and goals were turned upside down. Bill was still trying to ignore the idea of a furniture bank until in 2006 a vacation to Orlando allowed him to see his vision. Bill and Joelene visited The Mustard Seed which is a 15,000 square foot furniture bank! The director of the Mustard Seed said, "if you two don't do this you will be two of the most miserable people on earth." Bill and Joelene were convicted to at least see if a furniture bank was feasible in Pierce county. 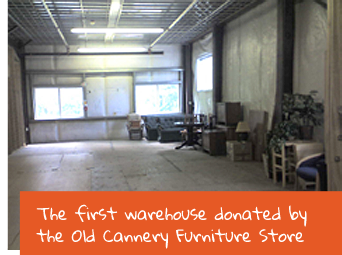 The Old Cannery furniture store provided 1200 square feet of donated space and gave the Lemke's the money that was raised for their sons medical expenses. The first delivery was made with a borrowed truck and mattresses that were purchased. 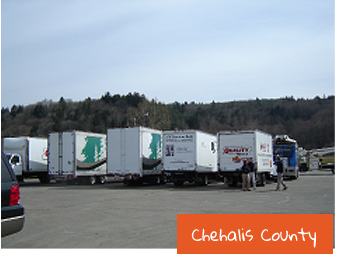 That was in 2006 and in 2007 NW Furniture Bank became a 501c3. Today, hundreds of volunteers, and community donors make it possible to serve almost 100 families monthly with a household of furniture! 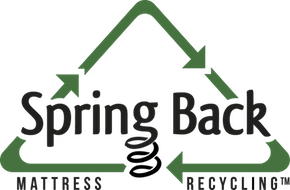 NW Furniture Bank is the source of furniture for agencies in Pierce County and South King. NWFB collects and warehouses furniture for qualified member agencies. As families move through the programs and transitional housing that helps them get back on their feet, they leave with little or nothing. Many can barely afford housing and food, let alone a bed to sleep on or a table to sit at. Furniture is a basic need that determines how people feel about themselves and also how well they will perform in the work place or at school. Referred clients fill out a furniture request form and are given a appointment and then matched with a volunteer shopper who helps them shop for a household of furniture. The client pays $75 processing fee so they have ownership and a sense of dignity from getting the new furniture.